"This fascinating book balances essays from academics with the work of seasoned animation professionals, and in so doing provides a wide-ranging and accessible overview of aspects of Japanese animation often unexplored or neglected in the West. Masao Yokota and Tze-yue G. Hu have taken an adventurous approach that embraces and celebrates teaching, research, and creativity in its widest sense. This will be an invaluable addition to any anime-lover's bookshelf." "Masao Yokota and Tze-yue G. Hu, both prominent scholars in the field of Japanese and East Asian animation studies, have put together an excellent anthology on Japanese animation seen in East Asian perspectives. The volume presents an overview of Japanese animation history, the politics and ideologies of animation production and consumption, as well as insights into the individual pioneers within animation and their works. A number of issues are addressed through the context of teaching Japanese animation, which makes many of the texts rich in pedagogical reflection and teaching methodology in terms of animation education. 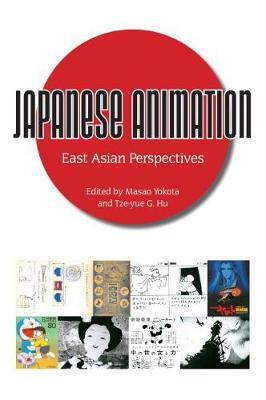 While many English-language books on Japanese animation focus on how Western cultures are influenced by Japanese popular culture, this volume provides a rare but much needed perspective on how mutual influences of animation thrive among East Asian cultures and the types of transnational exchange they foster." "A significant collection of essays by Asian writers on Asian animation, this book sheds new light on the diverse histories and influences in the development of anime. It is a much-needed contribution to animation studies."